First off, I found this awesome Giveaway through the SITS site this morning, and had to share with any of you who share a penchant for girlie hair accessories as I do. I'm hoping to win though, just so you know. Check out this blog, The Big Piece of Cake (just the title is appealing to me!) to see what she's giving away. You won't be disappointed! Several bloggers graciously tagged me with some fun games and awards this week, and I wanted to pass along the fun! This is my gloriously enormous bag. I got it at Target last summer. I love it. I can fit all sorts of junk inside. Don't laugh at me. I'm a mom, okay? Who doesn't need two cell phones? I have my silver one for everyday use, and a pink Disney Princess one for a night on the town. I can talk to Cinderella whenever I want. A "Snack Trap" of goldfish to bribe small children with, keys, lotion, hand sanitizer spray, my Vera wallet, a pink coupon organizer, checkbook, glasses case, brush, pen, chapstick, and lip gloss. We round it out with some Wet Ones because you never know when you're going to have to wipe down a crumby table in Panera. Phew! That's a lot! But I must have all of it. 4. Discovering a piece of chocolate in the bread box. Did I hide it from myself? Who cares?! 5. Invitations. It doesn't matter if it's an Evite, a card in the mail, or a phone call...I love making plans to do fun stuff! On to the awards portion of our show! 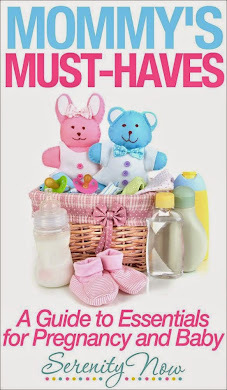 Thank you to MomInHighHeels at My Life in High Heels, Katie at Sunshine and Bubblegum, and Annissa at A Page in My Book for thinking of me! 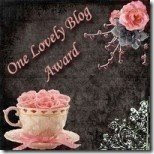 2) Pass the award to 10 other blogs that you’ve newly discovered. (It was 15, but that's an awful lot of links to post!) Remember to contact the bloggers to let them know they have been chosen for this award. 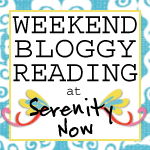 Some of them might be "famous" blogs, but I have only recently discovered them, and they are all fabulous! 6.Vanessa at V &. Co. Enjoy these links, and enjoy your holiday tomorrow! Totally off topic, but I saw a comment that you made over at the Black Sphere....take a minute when you can and take a look at my political blog too, follow it if you like it! Yeah!! Congrats on your award!